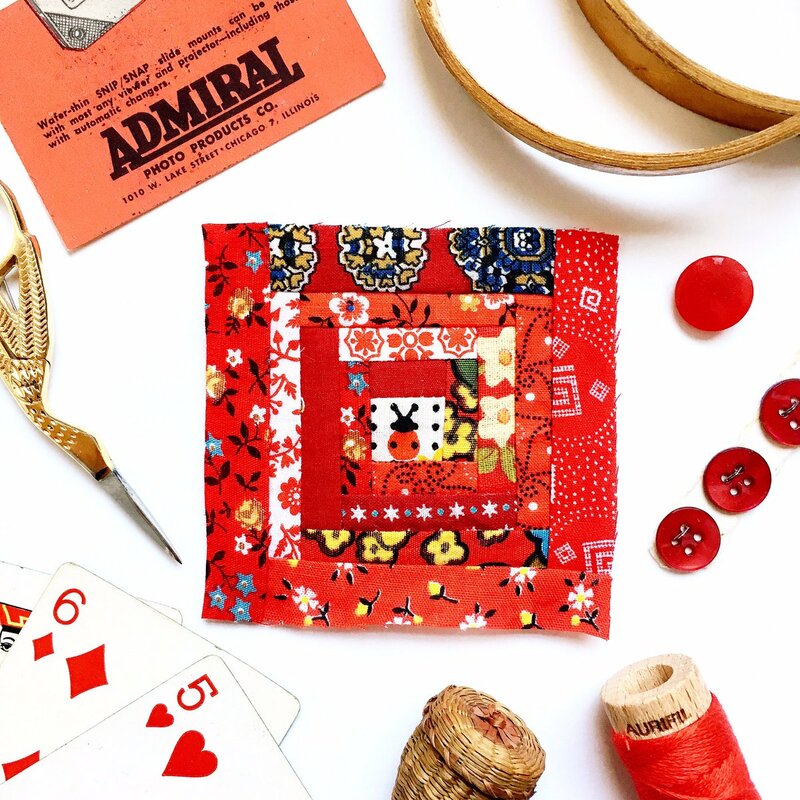 What Did You Sew This Week? By the time Saturday rolls around every week, I am curious about how I got here and cannot seem to remember everything I had accomplished over the past week. I am sure something was accomplished since the Go-Go Studio is still a fantastic array of fabric scraps and thread bits. I decide to look back on my projects for the week to see what I had filled my time for the past seven days. More and more, I have been posting on different places, usually Instagram, and do not reach for my camera as much as I used to before Instagram. Taking the blogging first step out of my norm has created a slight void in my sense of time and project completion. Here are some of the things that were made this past week! This skirt is my favorite pattern Princess Seam Pencil Skirt by Burda that can be whipped up in just a couple of hours and looks fantastic! The fabric was picked p last Winter on clearance and is a VERY forgiving black ( is there any other color for clothing) stretch fabric. I love whoever created lycra, it s the greatest invention ever! I only made the skirt because I found the fabric when I was cleaning. I stopped cleaning to make the skirt...LOL! Have you read the book " If You Give a Mouse a Cookie?" I need to write a version for sewing enthusiasts! After making the skirt, I went back to cleaning and I came across a box of vintage fabrics and blocks that included these lovely hand stitched hexagon blocks! I am always amazing at hand stitched blocks. 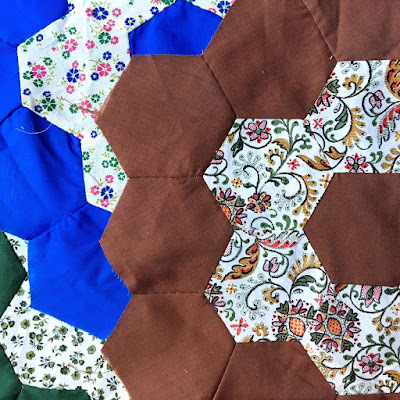 I am not the best at hand piecing. I can add that to my New Year's Resolutions list! There were loads of fabrics included in the box that needed a good washing. When I was taking them out of the dryer, I noticed this adorable ladybug print. I have a soft spot in my heart for ladybugs. I needed to make something! Not sure what to make, I grabbed some other reds from the pile to make a red block of some sort. When in doubt...make a log cabin block! This one will end up as a pincushion at some point. 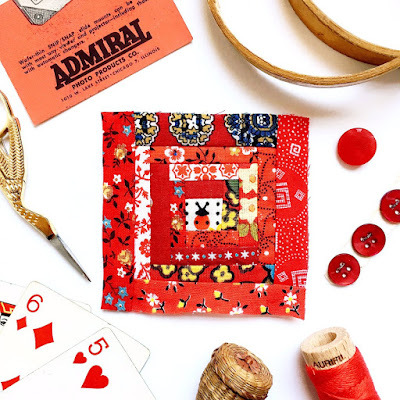 This week I also made a red version of my Geese Feet block for the Aurifil Designer of the Month! This one is being made into a cushion cover for my sofa! 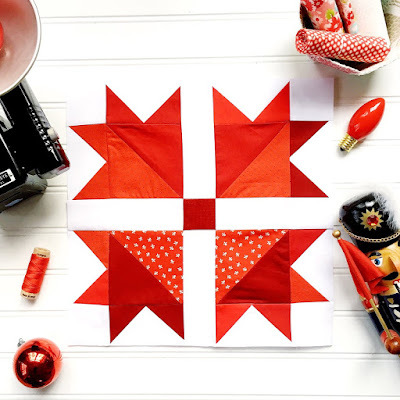 Easiest block aver and the free pattern is available HERE! And I did a quick clean of my sewing machine to keep it happy! After the 100+ blocks I have made and other projects thrown in, it was time! Do you ever have difficulty keeping track of what you have accomplished in your creative life? Linking to Show Off Saturday!